If you use a Xiaomi device running Android 7.0 or above and still struggle with notifications with swipe down gesture, there is some good news for you. Xiaomi has started rolling out New Notification Shade feature with quick reply feature with its MIUI 9.5 Stable ROM update. It will soon be rolled out for all users. Xiaomi had announced the MIUI 9 Global ROM back in November last year with many changes including Split Screen, New Notification Shade, Mi Video App, New Mi Explorer and Mi Drop etc. Back in January this year Xiaomi rolled out MIUI 9.2 with few of the full features but the Notification Shade couldn’t make its way to Stable ROM. 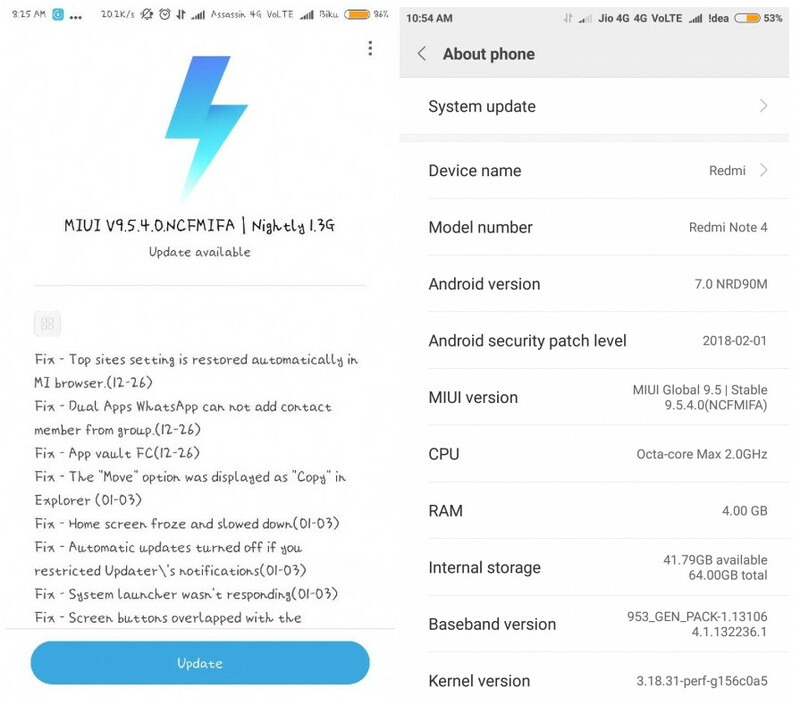 Now, some users on Mi Community have confirmed that company has started rolling out MIUI 9.5.4.0.NCFMIFA for Redmi Note 4. It seems like a nightly build as it is not visible for all users yet. The update, apart from several new features also includes February security patch. In addition to quick reply, Xiaomi has introduced new Ringtones, Lock/Unlock Sounds to name a few features. As per users on the Mi forum, MIUI 9.5 update brings Quick Reply via notification shade. So, with the new Notification shade, users will be able to reply to the notification panel for any messenger like WhatsApp messages. Apart from this, there are new ringtones, new lock-unlock sounds. The battery backup has also improved. There are new weather app and a Mi roaming app as well. Also, as mentioned, it comes with February security patch. Again, it is to be noted that it is a Nightly build. 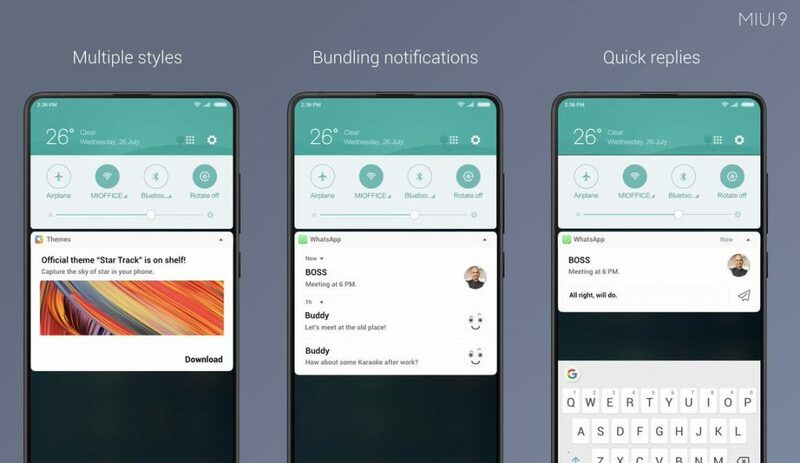 Xiaomi releases Stable Nightly build updates to some users to get feedback and the same update is rolled out to all users as a Stable build if it goes well. If you don’t want to wait for the stable update, you can also download the Recovery ROM and flash it using updater method. MIUI 9.5 stable build is expected to roll out for the most of the Xiaomi devices, however, devices running Android Nougat 7.0 or above will only get the New Notification Shade feature.